Personalised Owl Birthday Card perfect for any animal lover. 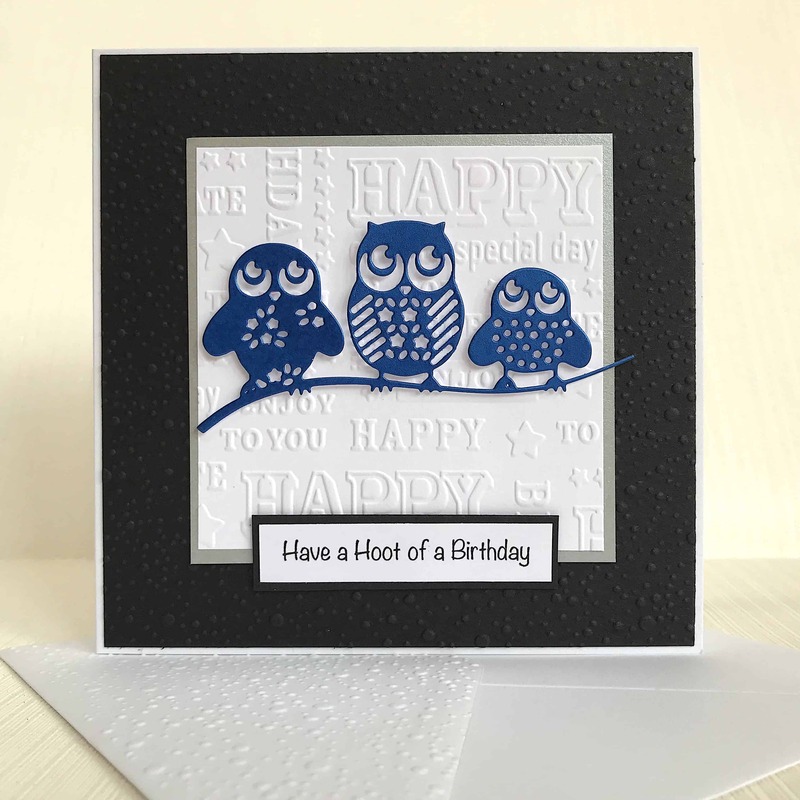 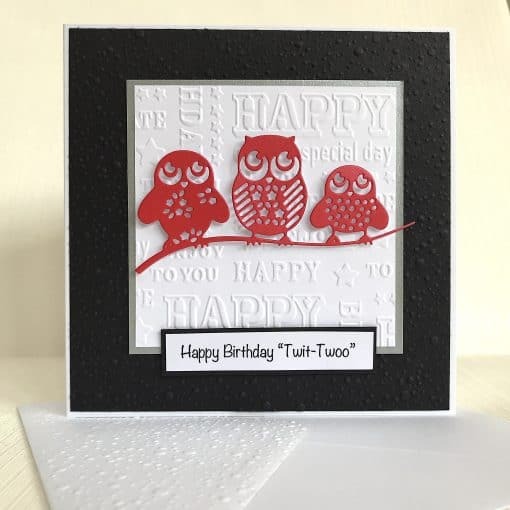 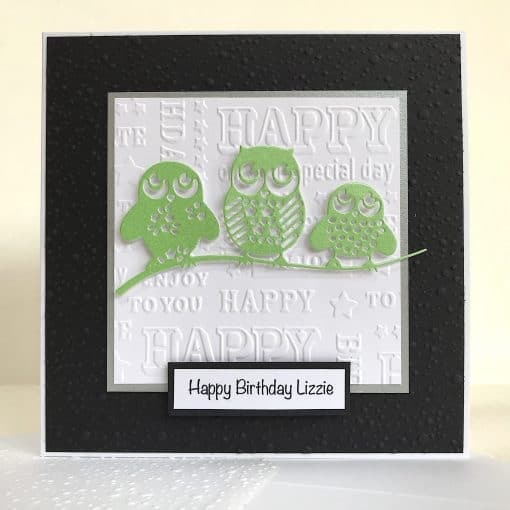 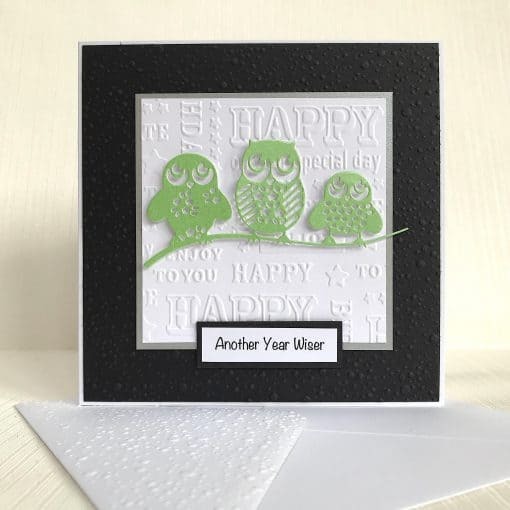 This handmade owl card features a cute die-cut row of 3 owls on a background embossed with happy birthday greetings. 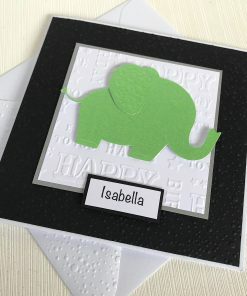 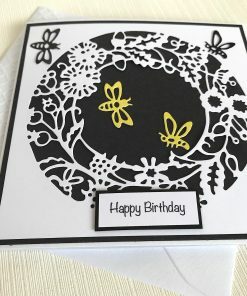 The card is personalised on the front with the name of your choice. 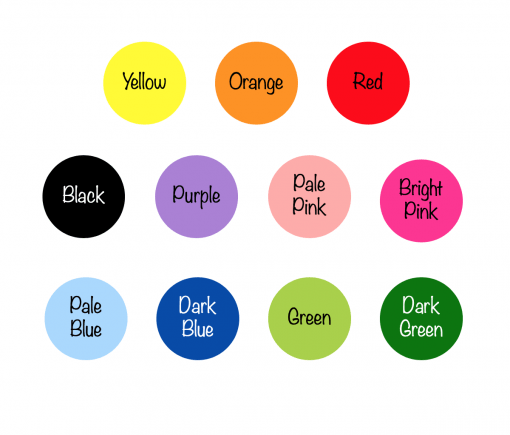 You can choose from 11 different colours for the owls. 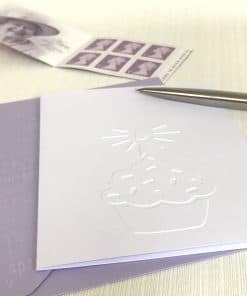 The envelope flap is also embossed for an extra finishing touch.